Google Unveiled Google drive today. It came with 5GB free storage and linked to Google Account. 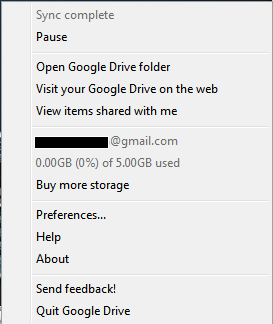 Google Drive integrated into Google+ and Docs. Google Drive will support 30 file formats including Adobe’s Illustrator and Photoshop files in the browser in addition to HD video streaming, PDFs etc. Initially 5GB free and can be upgraded to 25GB at $2.49 / Month and 100GB at $4.99 / Month and upgradable upto 16TB. The Web version supports Keyboard shortcuts like Gmail. While the Desktop version of Google Drive is 1.0.2891.6813 can be installed from web version of Google Drive.